Thirty years ago on 14 November 1987, we had the official opening of our present building in Cairo New Road. How we came to get our building is a testimony to God’s amazing guidance, favour, blessing & provision. As we look to the future, we thought it would be good to reflect on how God helped us thirty years ago to move into our present building, so we asked retired elder David Rossell, who was instrumental in helping us acquire the building, to tell us the story of how we came to be here in Cairo New Road. For a long period up to 1986 the congregation were housed in what can only be described as a back street mission hall in Dennett Road. This was well known for having a very leaky roof and a very noisy neighbour. 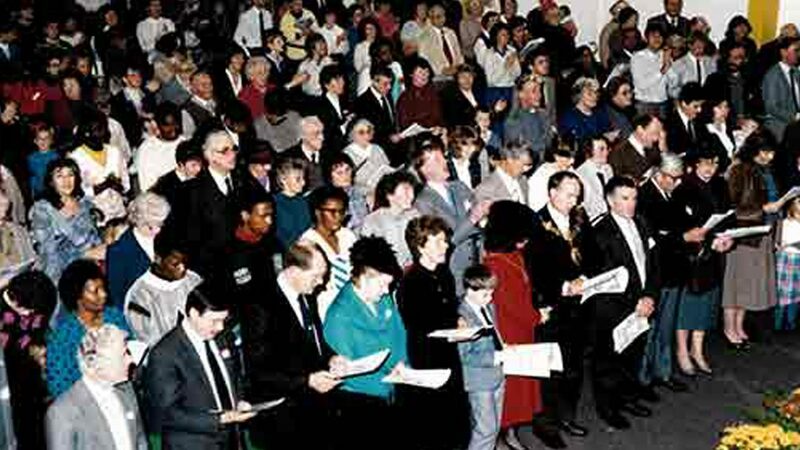 During the period 1976 to 1986 the congregation grew from some 80 to around 250-300. This meant that the Dennett Road premises were totally inadequate and it became necessary to acquire new premises. During 1985 and 1986 use was made of the garden hall at the General Hospital on London Road, some evening meetings had previously been held at St Andrews Church, South Croydon and others were held at the Congregational Church in London Road. One week in the summer of 1986 no alternative accommodation was available to us and an open-air service was held at Lloyd Park and the weather was very good. At this time searches were made for suitable premises. We even viewed the current Argos premises in Church Street. The Jewish Synagogue came on the market for sale. We put an offer in for it which was accepted. However, the older part of the Jewish congregation objected to moving and consequently their offer to sell was withdrawn and the purchase by us could not proceed. How good God is. This place did not have the space for us to cater for the many activities we now have. The acquiring of enlarged premises became a serious matter for prayer which included a daily prayer meetings at Dennett Road commencing at 6.15am. In August 1986 I was contacted by one of our members who advised me that a large warehouse type building near the centre of the town was on the market . It consisted of two buildings joined by a footbridge walkway. It is interesting to note that it was being used by a company involved in brewery plumbing. The introduction of Fosters to the UK had caused the company to locate to larger premises on another site. I plucked up courage to contact the Estate Agent concerned and I could hear him giggle when I told him we wanted it to be used as a church. Here I must add that during my world travels including to Sydney, Australia I had seen a warehouse being used as a church. Together with three other older church leaders I immediately met the Agent and visited the site to view the total property. As we crossed from what is the Arcadia side to the other side the Agent said that the sale could be split between the two buildings. This was very welcomed news as at the time, due to financial restraints the purchase of the total site was completely impossible. As we stood at the entrance of the north side building -as it was called , and look at what is now the main hall, I got a distinct witness within my spirit, “THIS IS THE PLACE”. So the acquiring of the building as we have today began. The property was lease-hold with the London Borough of Croydon holding the lease with a rental cost to them of some £17000 per year. Subsequently this was increased to £30,000 per year. The buildings were owned by a company who went under the name of SI which is still shown on the main gates and the price subsequently agreed was some £380,000. Of course for use as a church a change in use approval by the council’s planning department was required. Initial contact with the planning officer concerned was very cordial. His remarks were to the effect that being so close to the town centre it should never have been used as industrial/factory premises. However, there were some council officials who opposed the use as a church and hid behind an argument that the amount which they said we would have to find to purchase the buildings and pay the yearly lease might not be sustainable. As such agreement for the assignment to us should not be approved. The official told me that the legal documents for the property did not cover the use as a church. My response was that the documents should be amended to allow this. Under the circumstances we requested all of our members write to their various councillors requesting favour for us. This actually covered all councillors. At the same time a number of Croydon churches wrote to the council supporting us. At that time our financial resources were low and it would be necessary for us to loan a substantial amount of the money required. Our dear late brother John Wetherley advised that our own people would give more if they could see what we were buying. With this in mind I asked the estate Agent if I could show my brothers and sisters the property and I suggested New Years day 1st January 1987. I was not lying regarding my brothers and sisters. The only condition I had to observe was to return the keys through the agents letter box as the day we were viewing was a bank holiday. A good crowd turned out for this viewing and the size of the building created a wow factor. John’s advice proved correct and finances began to improve. John Edwards in addressing the older members of the congregation suggested that no doubt some would have money nest eggs put aside to cover funeral costs when they died. He suggested they contribute this to the building fund and if they died in the meantime we would be responsible for the funeral costs. John’s proposal proved successful and offerings for the building increased even more. What is also remarkable is that there were fewer deaths in the period following. To satisfy the lending banks four brothers allowed their houses to be included for added security. Two members of the eldership were invited to meet with the council’s head of finance to show how adequate finance would always be in place. This we covered by the simple statement: if our bank was satisfied then the council should be. The head of finance accepted this statement. As it transpired the bank we had portrayed to the council and used in our statement at the last minute withdrew its offer. But almost simultaneously another first class bank, totally unsolicited, approached us and fully matched the original offer of the previous bank. Praise God ! Just before the matter was to be formalised by the council I had a telephone call from Councillor Carey, who said he would be supporting our cause and suggested that we should invite him to open the centre when he was to be the mayor of Croydon later in the year. This we did and Margaret and myself undertook the escorting of our special guests at the official opening on Saturday 14th November 1987. Our first meetings in the Cairo Road premises were from March 1987. Whilst the necessary purchase papers were processed we rented the property from the legal owners. In the main hall we seated the congregation looking at what is now the welcome Lounge.  A fair amount of time was spent by the leaders deciding what we should call ourselves, New Life Christian Centre Croydon was adopted. It was at this time that God gave us the verse “I have many people in this city” which is included on the official plaque unveiled by the mayor. Over the years we have significantly adapted and changed the interior of the building to cater for the needs of a growing and changing church family, including the installation of a balcony in 1997. In 2004 we were also able to buy the freehold of the land from the council, through the proceeds of the sale of two houses we had been using to house Bible students. As we look to the future and the possibilities that the Regenerate development initiative offers, we can have total confidence that God will lead, direct and provide in the same way that he did thirty years ago, when what seemed an impossibility became possible as we moved into our present premises.